What are your 3 words for 2009? How focused are you for the year ahead. This post will help you move into the year ahead with just 3 words. A post next week will focus on the Art of the One Ball. Try setting your three words far out on the horizon, but such that they can lead you to your goals every day. Meaning, can you use the same word to get you started, but have it still be relevant when you’re almost at the big goal? His 3 words for 2009 were: equip, armies, and needles. If you need to see what dozens of other people declared as their 3 words or you would like to read the full article by Chris, click here. 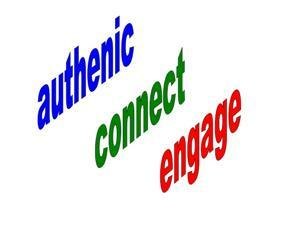 My 3 words for 2009 are: authentic, connect, engage. My 3 words even create an acronym: ACE. So my plan is to ACE employee engagement for 2009. Loved the idea for clarity — which creates focus. I always recommend that my clients identify their key corporate values for this reason. In my personal case there are 4, they are Passionate, Proactive, Practical, Partners. I love clarity to and appreciate the pppp approach of passion, proactive, practical, and partners. As a spiritual life coach I can appreciate this concept.